Yes! And the Haitian Families First team is just as excited about this summer as you and your family are. In fact, we may be a little bit more excited because this summer brings this year’s edition of our…. If you know anything about Haitian Families First, you know that we are working in Haiti to keep families together, and help them thrive. Our goal is to keep children out of orphanages by supporting their parents/caregivers- but our ultimate goal is to help each family we work with to become self sufficient. So they don’t need our help anymore! One of the most impactful ways we can support a family is by getting kids into school. Most schools in Haiti are privatized, requiring that each student pay an annual tuition fee. This fee alone is out of reach for most working parents and caregivers who are earning less than $80 US per month. 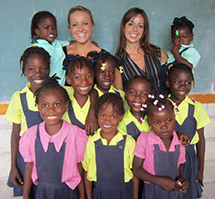 For a sponsorship of $240 for an entire year, you can truly change the course of a child’s future in Haiti. How far does $240 go? I have the dream to study law but I had to stop school when I was 12 because we could not pay. Now I am back in school and know I will be a lawyer. I love going to school every day with my little brother. I show him things because I am older than him. I want to be a nurse when I am finished with school to help people that are sick, I know I have to do well in school. 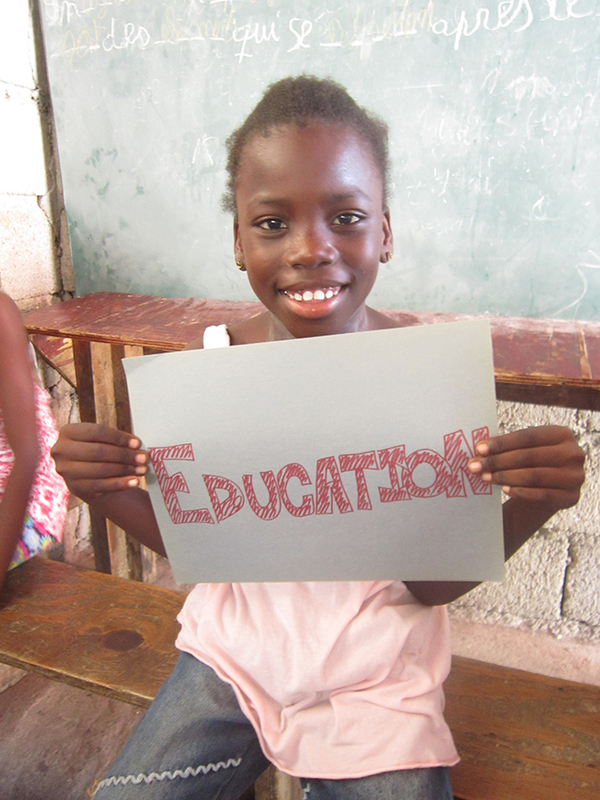 Will you please consider sponsorship of a Haitian Families First child for the 2014-2015 school year? Have a lemonade stand and try to sell 240 cups of lemonade! Our goal is to ensure that all 115 children receive sponsorship by September 1st.